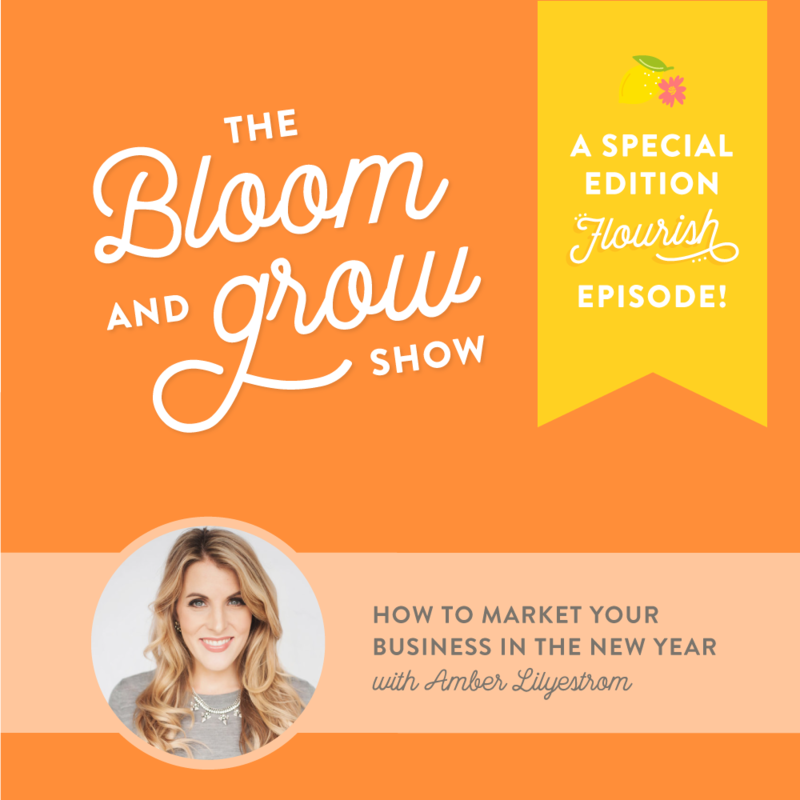 In this Special Edition Flourish episode, I interview my friend, fellow mompreneur, and business coach Amber Lilyestrom. She shares with me her journey from only providing one-on-one coaching to launching her own mastermind. We also discuss the importance of being oneself and riding the wave of brand me in a world surrounded by people trying to put us in boxes. Amber also doles out some important advice for mompreneurs just starting out. This special edition episode offers a sneak peek at the content available in my signature Flourish 5-Day Marketing Plan Workshop. These short & sweet guest interviews feature industry friends and I wanted to pull them out of the vault for you. They reference 2018, but are filled with so many nuggets of wisdom and marketing inspiration, I knew you needed to hear them. Join us live in January for the 2019 Flourish 5-Day Marketing Workshop designed to help your business grow and thrive. Short on time, but big on action, this one hour a day workshop focuses on marketing strategy & action plans and will help propel your business forward. Sign up for the Wait List today! Amber Lilyestrom is a transformational branding & business strategist, writer and speaker. She has been featured in Entrepreneur and Working Mother Magazine and is the host of The Amber Lilyestrom Show podcast where she helps entrepreneurs turn their passions in to heart-centered brands and thriving businesses. From idea conception to the construction of the business and its digital landscape, Amber supports visionaries, leaders and disruptivators in changing the world and their lives. Amber spent 10 years working in collegiate athletics marketing, managing the University of New Hampshire Wildcats brand, as well as teaching sports marketing and mentoring student interns. She was recognized as one of the top sports marketing professionals in the nation.